You know how you sometimes get burned out at home and get those itchy feet that wants to go galivanting? Those itchy feet that doesn’t care where you go — just the fact that you just GO ( and get out of the house)? Well, I got those the other day. The Summer heat is just too much and it is sweltering hot at home. We didn’t dare turn on the a/c and stay in the bedroom because, well, our electricity is high enough as it is. We decided to go and have a lunch out. 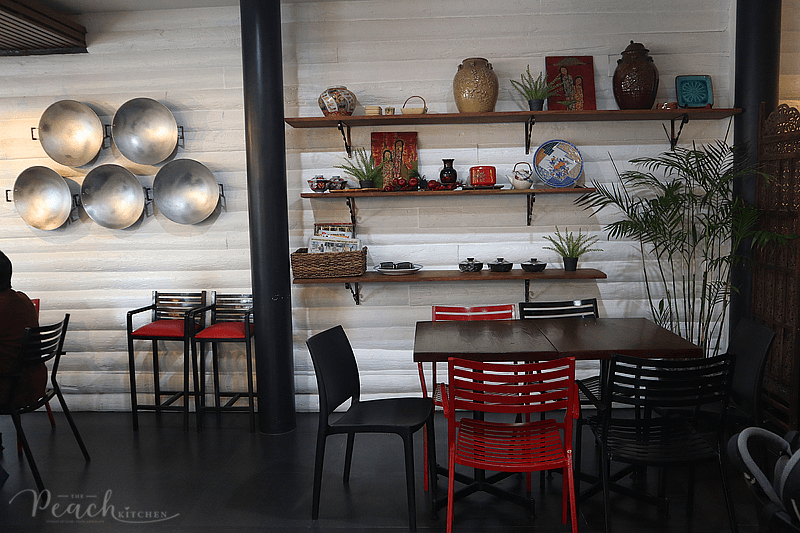 Our feet (well, more like our car, really) took us in katipunan… at this Chinese Vietnamese cafe and restaurant named Phat Buddha. You can find Phat Buddha nestled among greens and upon entering, you’ll be greeted by a zen ambience. Our crazy family of four settled ourselves in a table near the entrance, everyone was hungry coming from Caloocan and because of the traffic caused by the sudden burst of rain. 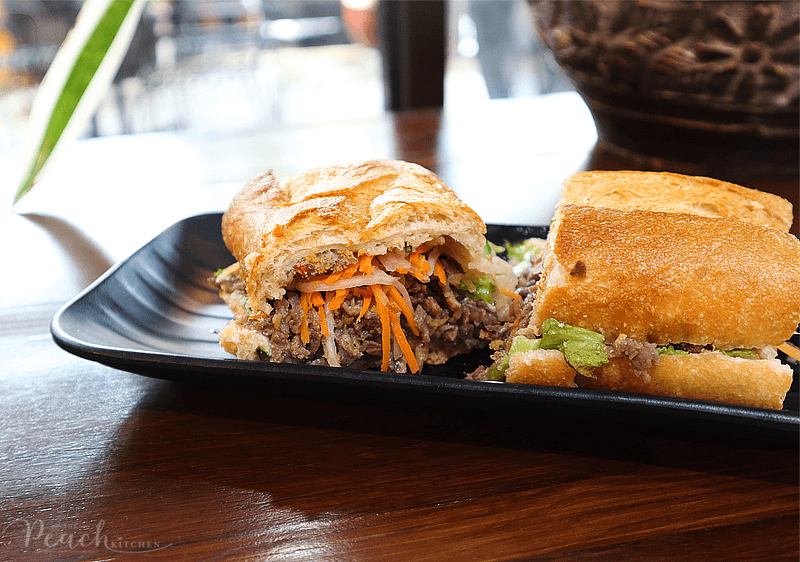 We started with the Lemongrass Beef and Caramelized Onion Roll (₱188) served with sweet fish sauce. I love spring rolls in any form and flavor. And whenever were in a Vietnamese restaurant, it is a must to start with one. Theirs did not disappoint — light, refreshing and full of flavor! 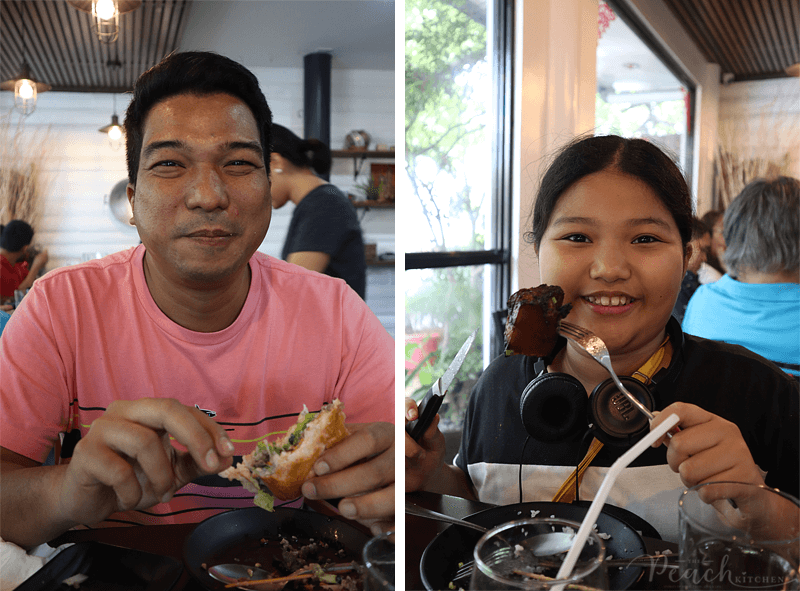 It was a surprise that they have a House Salad (₱278) . What’s more surprising is the taste! It’s tasted a lot like you’re eating fresh spring rolls without the wrapping but with more oomph because of the different layers of flavor. 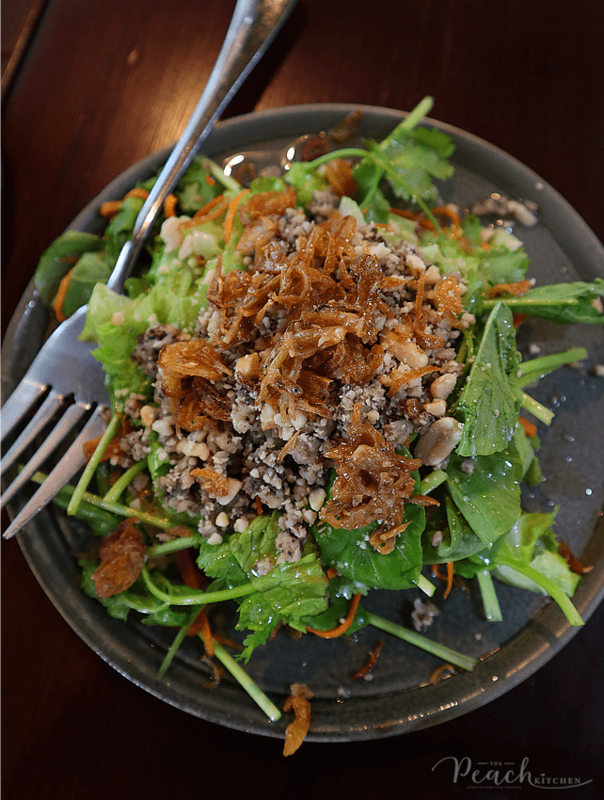 There was peppery arugula, cilantro, pork and wood ear mushroom, and of course that sweet fish sauce dressing. 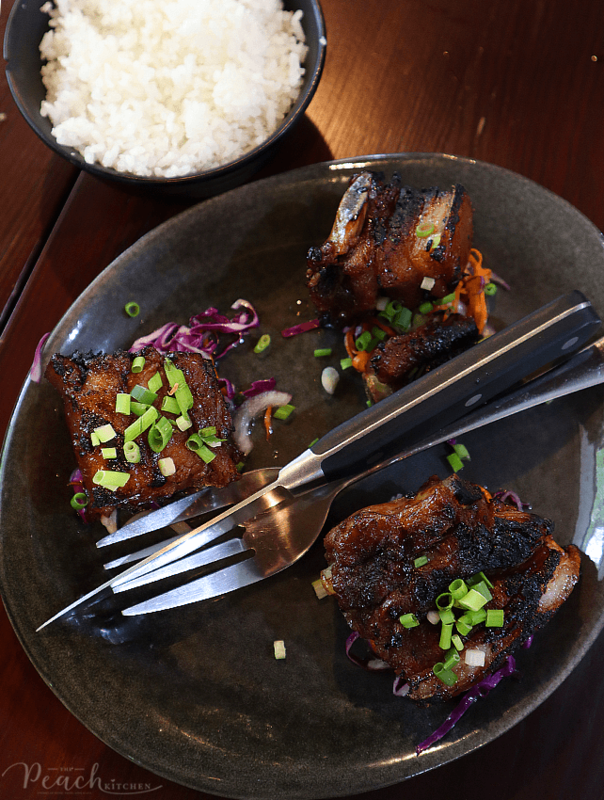 Ykaie, my pork belly enthusiast of a daughter, ordered the Braised then Grilled Soy Pork Belly (₱338). Just as the name suggest — it was braised and then grilled which makes it oh-so-tender, and more delectable. She loved every fatty, charred, sweet, salty goodness of it. You can see him enjoying his Banh Mi and I know why — each bite is a bomb. It gives you crunchy, chewy bread, creamy, tangy, citrusy, and savoury filling. 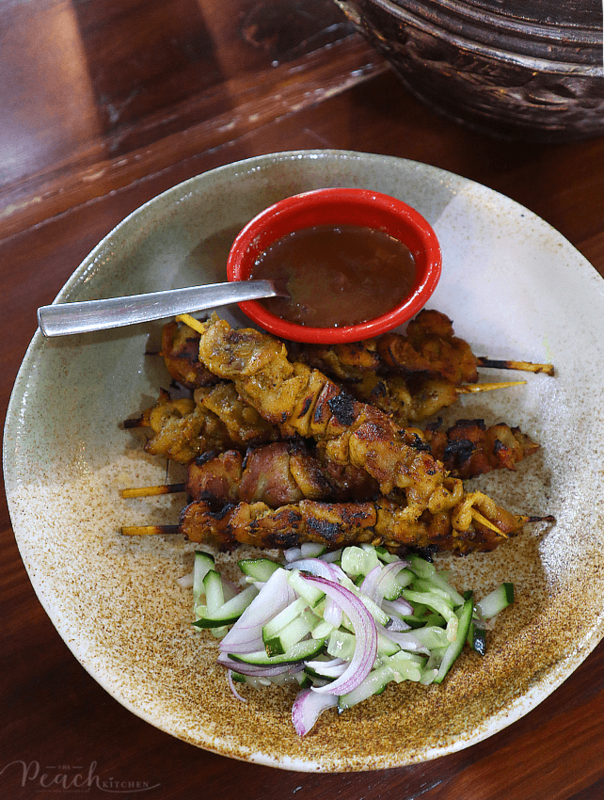 I love the Satay Chicken with Curry Peanut Sauce (₱278) because of the tender and juicy skewered chicken. 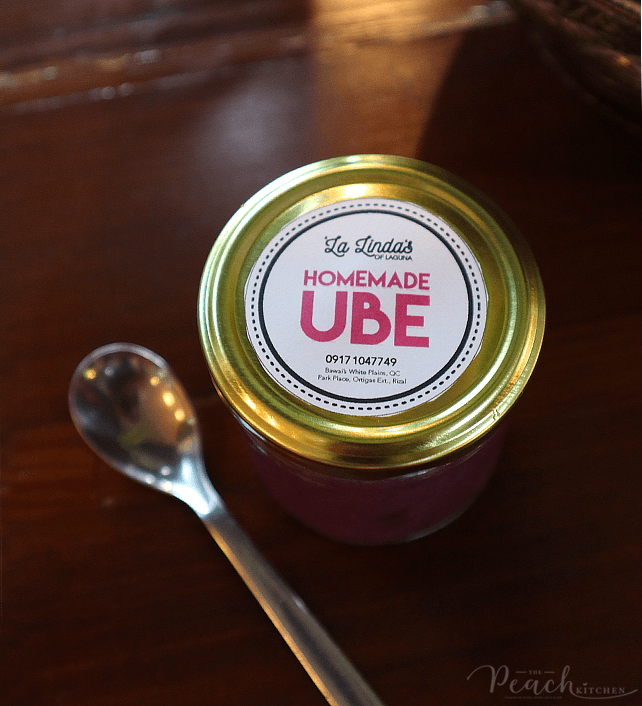 It goes so well with the pickled cucumber side dish. 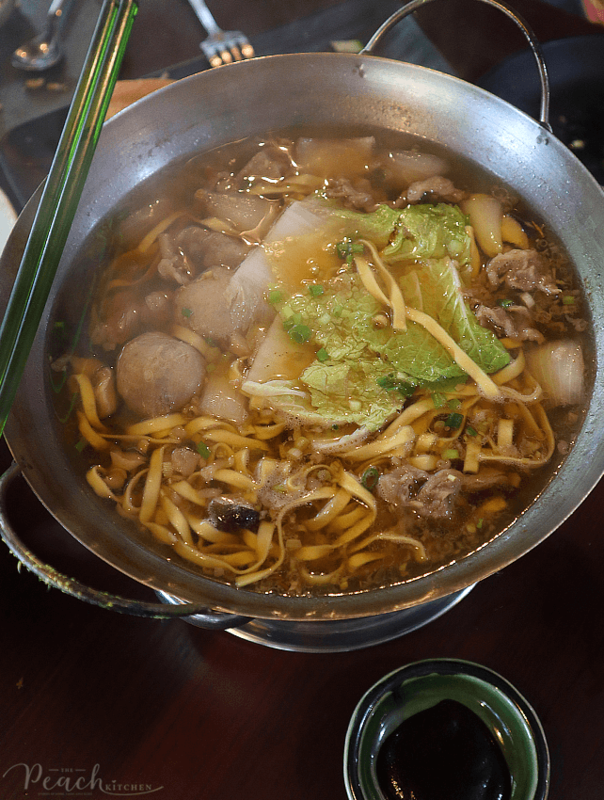 Because it was a rainy summer day, we also had the Beef Belly and Mushroom Meatballs Hot Pot (₱438). This one is good for sharing and is something I could have for lunch alone. It’s made up of noodles, meatballs, thinly sliced beef, mushrooms, and vegetables then served with hoisin sauce on the side for added flavor. You have two soup base to choose from when ordering the hotpot: bun bo hue (light, pineapple, lemongrass based) OR traditional beef ( slightly sweet, hoisin based). Dining is Phat Buddha is not only enjoyable, it is also an adventure for your palate. The service was great and the food is fantastic. 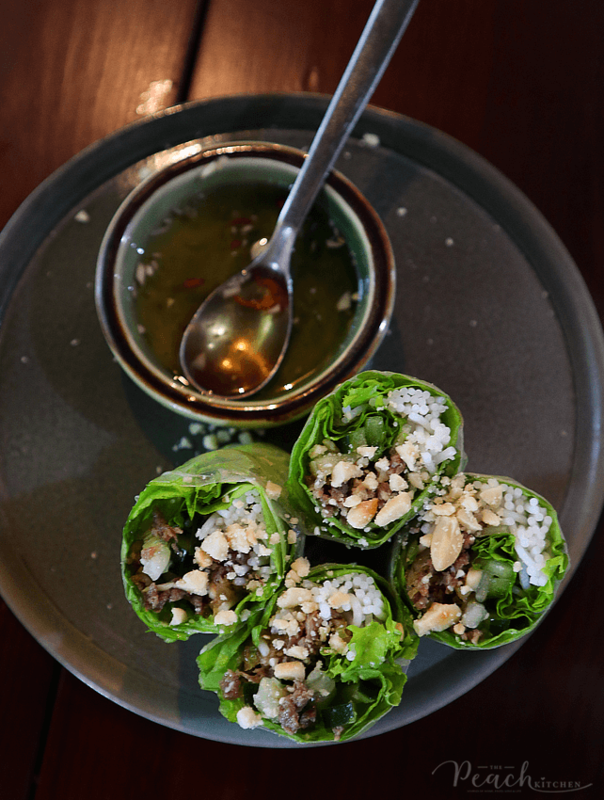 Those who are on a low carb diet need not worry also because you can order their lettuce wrap. I’m thinking it’s as flavorful as their spring rolls minus the carbs. After lunch, the sun was shining again and we went back home with smiles on our faces and satisfied tummies. Phat Buddha is located at 42 Katipunan Ave., White Plains, Quezon City.